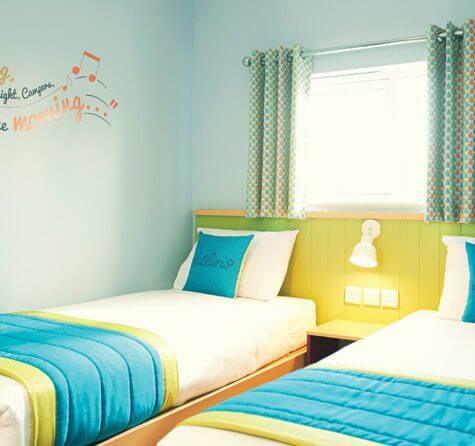 With views of our peaceful lake, our Lakeview Chalets offer a relaxing environment for you and your family. 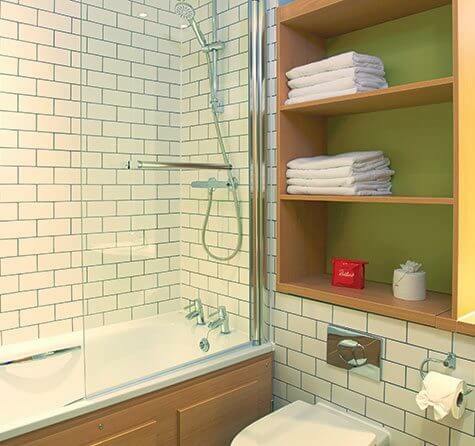 Our new style chalets have 2, 3 or 4 bedrooms making them perfect for families. 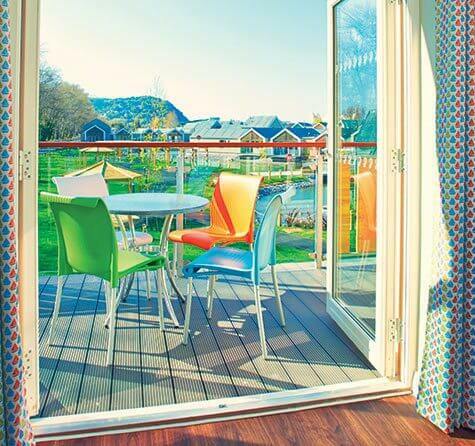 Honouring the traditions of Sir Billy Butlin’s original vision of the British holiday, in 2015 Butlin’s Minehead welcomed a new style of chalet for the 21st century. 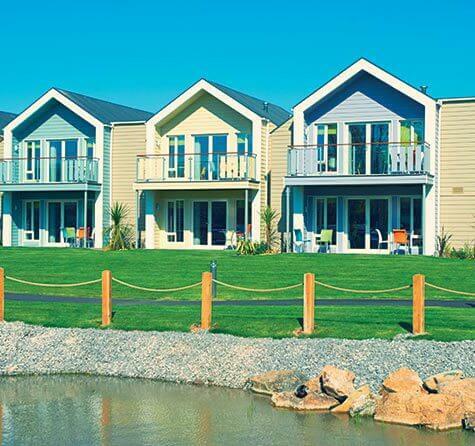 Our Lakeview chalets are placed within landscaped grounds and offer peaceful views of the lake. These 2, 3 and 4 bedroom chalets are available on the ground or 1st floor with inter-connecting doors between chalets as an option. 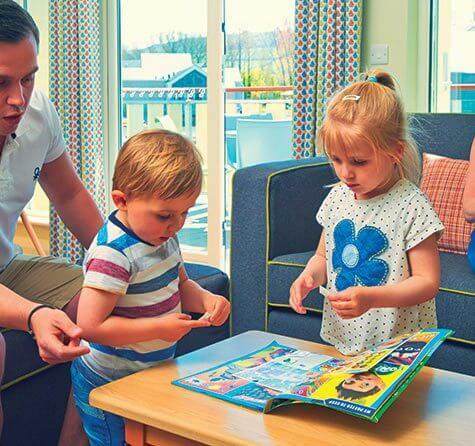 Featuring a relaxing veranda or balcony if on the 1st floor, our chalets offer an open plan living area finished with an L shaped family sofa, TV and DVD Player. 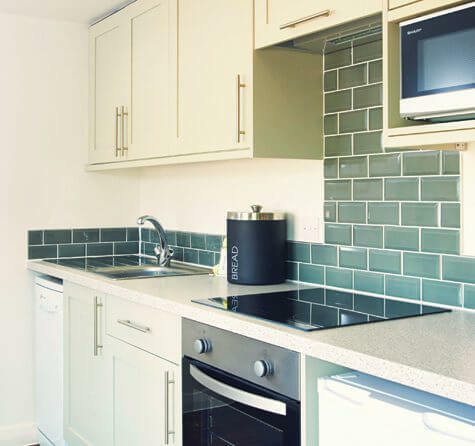 The kitchen is supplied with a microwave and dishwasher and all bathrooms are complete with towels, toiletries and daily housekeeping. 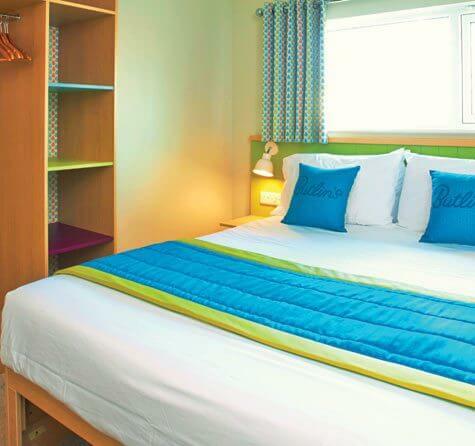 Our biggest Lakeview Chalets offer a great space to relax on your Butlins break. Perfect for families and groups, our 4 bedroom chalets can sleep up to 8 guests and offer views of our lakes.